The information that makes up the Future 40 is collected from publicly traded companies that disclose their environmental, social and governance data either through CSR/sustainability reports or some other publicly accessible medium. That data is aggregated by organizations such as Bloomberg. For non-publicly traded companies, reports identified by the GRI are used. Corporate Knights considers the Future 40 a kind of farm team that feeds future sustainability leaders into the big leagues of the Best 50 ranking. 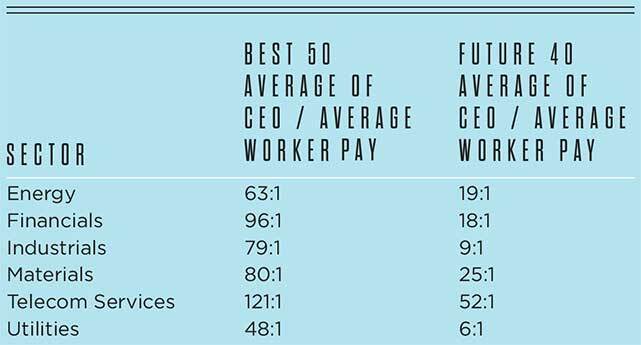 In this respect, the Future 40 offers us insights into how performance on the Best 50 might change over time. How does that translate to CEO salaries, from “farm team” to “big leagues”? Corporate Knights Inc. (CK) has two subsidiaries: CK Media, which includes the award-winning business and society magazine Corporate Knights, and CK Capital, which produces corporate rankings, research reports and financial products based on corporate sustainability performance. 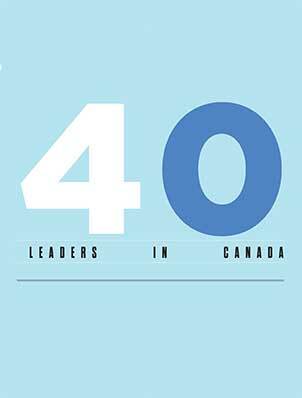 Its best-known rankings include the Best 50 Corporate Citizens in Canada and the Global 100 Most Sustainable Corporations. In June 2013,Corporate Knights was named “Magazine of the Year” by Canada’s National Magazine Awards Foundation. CK is an excellent resource for those interested in corporate social responsibility programs and sustainability in Canada. Learn more about clean capitalism, and subscribe to newsletters or the magazine here.